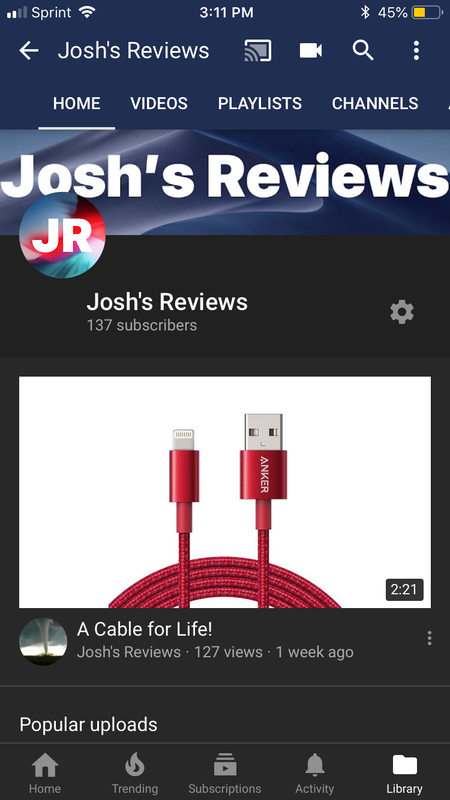 Thanks - Josh’s Reviews on YouTube recently received a little channel art makeover, so I figured I’d bring it on over here, too! Woohoo! Thank you @AnkerOfficial as @ndalby said Congratulations Winners and to those who didn't win this time stick around this forum is a great resource and the frequent competitions are nice bonus. Thanks for the vote of confidence, @AnkerOfficial! Many happy returns of the day Josh! thanks @AnkerOfficial for the selection. I look forward to testing the Motion Q, and like the others I'm also contemplating buying a second to test out the dual pairing capabilities. Congrats to all the other winners, hope you all enjoy your new test products. Looks like I'm a loser again. Oh, well, nothing less than. I expected! Good to see the regular winners won! Thank you, @AnkerOfficial for the opportunity! I can't wait to share my review! Thanks every winning testers! If you can do a video review, your work maybe promote on our official social media platform as well as Amazon listing. Thank you @AnkerOfficial. Can't wait to fire this bad boy up.